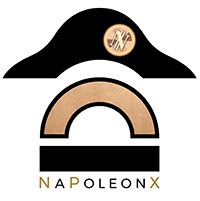 NapoleonX project is about becoming the master sponsor for launching a series of Decentralized Autonomous Funds (DAFs). These vehicles will invest in 100% algorithmic solutions proposed by Napoleon Crypto. NapoleonX will benefit from 85% of all performance fees generated by the various DAFs and 100% of the performance on its participation in these vehicles.